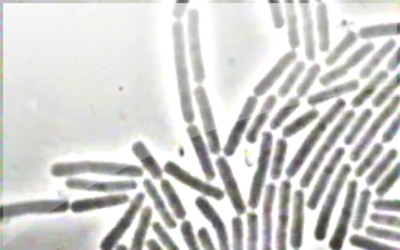 The following clips were taken from the film, Bacillus thuringiensis (Bacillaceae) - Vegetative Reproduction and Formation of Spores from the Institut für Wissenschaftlichen Film in Göttingen, Germany. A 10-minute video tape is available for purchase from the IWF at a reasonable rate. 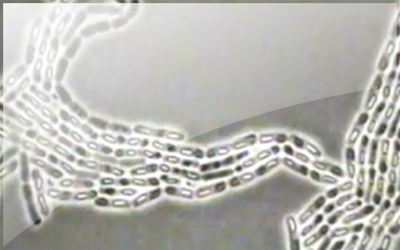 Below are two new time lapse movies, submitted by Remco Kort, showing biofilm (colony) development in Bacillus subtilis. 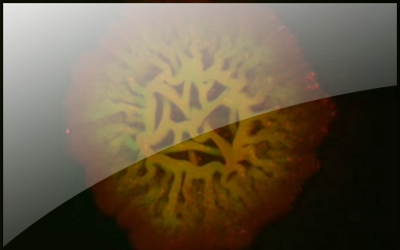 Green fluorescence indicates spore formation. 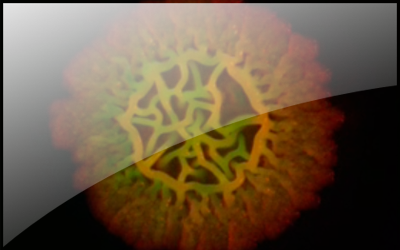 The first movie shows a wild-type colony with a PspoIIA-gfp fusion and the second with a cotC fusion. This research will be described in an upcoming paper: Veening, J.-W., O. P. Kuipers, S. Brul, K. J. Hellingwerf and R. Kort. 2006. 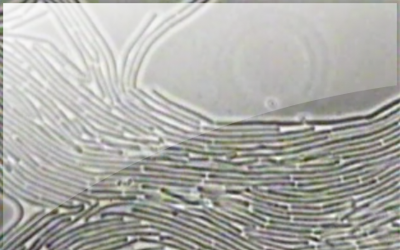 Effects of phosphorelay perturbations on architecture, sporulation and spore resistance in biofilms of Bacillus subtilis. J. Bacteriol. In press. Our thanks to Dr. Kort for these fascinating movies! Notice: These clips are not intended to deprive the IWF of sales; please regard them as advertising rather than as a "free" download. OK?